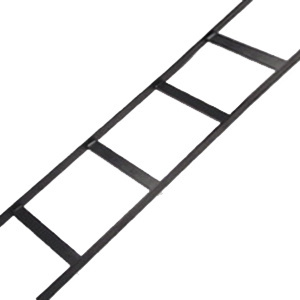 Chatsworth Products Universal cable runway features welded steel construction with black painted finish. The cross members have welding at 12-Inch intervals to deliver superior load bearing capacity. It measures 9.96-ft x 24-Inch x 1.5-Inch. This runway is perfect for telecommunications/equipment rooms, cross-connects on racks/cabinets with other CPI cable runway products. Cable runway UL listed, RoHS compliant and meets OSHPD standards.